The New York Stars/Charlotte Hornets held the first ever World Football League team reunion. 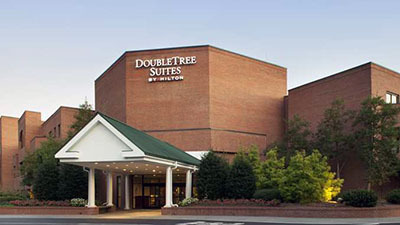 It was held in Charlotte, North Carolina at the SouthPark Suite Hotel (now DoubleTree Suites by Hilton) on the weekend of July 19-21, 2002. The reunion was organized by Darrel Bunge, Kreg Kapitan, Tom Chandler, Robby Reynolds, and Richie Franklin. A full weekend of events was planned by the Hornets organizing committee. The first event was on Friday, July 19, 2002, as former alumni from the New York Stars and Charlotte Hornets began to file into the Clayton Room at the SouthPark Suites Hotel for the Players Reception. For some of the alumni, this was the first time that they had a chance to reminisce since the Hornets and the WFL folded on October 22, 1975. As the players and their wives continued to gather in the Clayton Room, a cash bar was provided. Jere Brown brought along his Hornets helmet, a 1975 WFL football, and a 1975 Bob "Harpo" Gladieux Hornets jersey. Dana "Eggman" Carpenter had his Hornets equipment bag with him. Inside was his Hornets helmet, a mint 1975 WFL football still in the plastic wrap, and his Hornets playbook. Art Reynolds brought along a photo album with photos from the New York Stars trip to the Hawaii Islands when they played the Hawaiians in 1974. Gerry Gluck, who was the Stars team photographer, brought 8x10 game photos he shot during the 1974 season. The alumni had a blast going through old WFL game programs, game photos, team media guides, and viewing the old Hornets memorabilia. The biggest task of the evening was gathering the players for a team reunion group picture. This took several attempts, but a photo was finally taken. As the Stars/Hornets alumni were leaving the Players Reception for dinner, John Elliott and Greg "Loukie" Lens finally arrived at the hotel after being on the road for 14 hours. They joined the rest of their teammates for dinner at Ciro's, and then everyone met back at the hotel bar for a nightcap. Some of the players had a golf outing on Saturday morning. A planned trip to American Legion Memorial Stadium was canceled due to scheduling. As players arrived back at the hotel from the Hornets golf outing, everyone began to head to the pool to cool down from the extremely humid weather on Saturday afternoon. Tom Chandler asked the hotel staff to provide a mini- bar for the players by the pool. The New York Stars/Charlotte Hornets WFL team reunion began at 6 PM on Saturday, July 20, 2002 with a cocktail hour. One of the first to arrive was Coach Lamar Leachman, who was the team's defensive coordinator during the 1974 season. Tom Sherman surprised the team by bringing along game films from the 1974 season. Everyone enjoyed watching the WFL game footage. Janey Felz, who was a Hornets cheerleader, brought her Hornets scrapbook. This was filled with articles and photos from the teams two seasons in Charlotte. Janet Bullock, who worked in the front office, also joined the team for dinner. NBC 6 TV arrived prior to dinner to conduct interviews and coverage of the Hornets WFL team reunion. The segment appeared on their Sunday Sports Extra show, hosted by Chuck Howard. After dinner Kreg "Kap" Kapitan spoke to the team and thanked everyone for coming. Each player and coaches Parilli and Leachman also took turns telling stories about their time in the WFL. As the reunion came to a close, the Stars/Hornets alumni headed to the hotel bar. As the evening began to wind down, players were heading back to their rooms, and said their good-byes as some were leaving early Sunday morning. Darrel Bunge, Tom Chandler, Dana Carpenter, Art Reynolds along with Herb Gluck, who covered the New York Stars in 1974 for his book, While the Gettins Good, decided to continue the reunion party, and stayed up past 5 AM on Sunday morning. Sunday morning the players along with Coach Leachman enjoyed a Sunday brunch prior to leaving Charlotte to head back home. The Stars/Hornets alumni enjoyed a great weekend, and the very first WFL team reunion was a huge success.